This is a common sentiment from medical sales reps in this year’s Best Places to Work report. These passionate pros aren’t just satisfied with high pay and opportunities for growth. Their satisfaction and love for their companies goes much deeper — and it shows. In fact, our research revealed an almost 50 percent decrease in reps who are looking for a new job this year. So, what’s the catch? An impressive 76 percent of sales reps are very or somewhat satisfied with their jobs. That’s an incredible 50 percent jump since 2003. 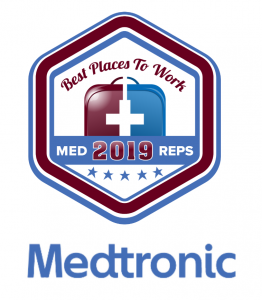 So, even though high pay remains a lively source for job satisfaction, the best medical sales companies are diving further into employees’ needs and passions. In fact, 76 percent said work-life balance is the most important value in an employer and 44 percent said a strong product line is most important. Companies focusing on improving product lines and employees’ overall lives are equipping their sales teams with even more passion and drive to be successful in the field. Medical sales reps spend long hours alone on the road, but that doesn’t stop them from wanting to be part of a solid team. 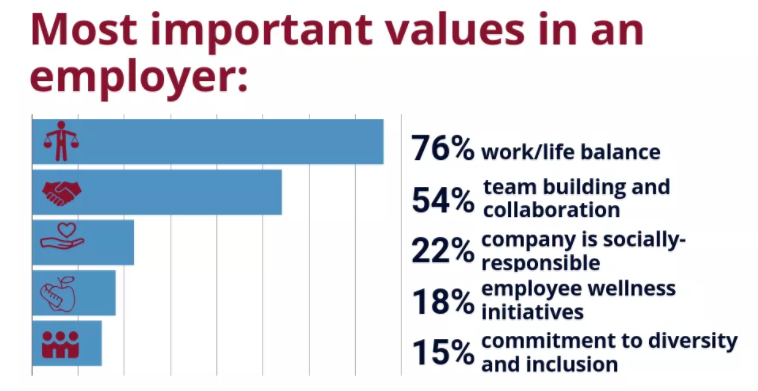 In fact, 54 percent said team building and collaboration is the most important value in an employer. Additionally, 31 percent said coaching and mentorship opportunities are a reason for high job satisfaction. In a high-stress job, like medical sales, employees want to know they have a strong support system. 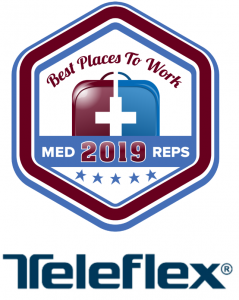 Teleflex, one of the number one overall best places to work, encourages employees to work together. Many reps started their journey in this field to help others. Working for a company without that same passion won’t leave these pros satisfied at work. Coming in third for most important values in an employer, 22 percent of employees said they need a company that’s socially responsible. 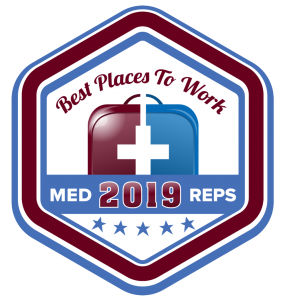 Johnson and Johnson, topping the Best Places to Work charts yet again, practices what they preach — and employees are noticing. “J&J operates under its famous Credo which puts the lives of patients, employees, and community first,” one Johnson and Johnson employee said. It isn’t all about passion and drive. Employees need to know their company values them, and they’re looking to perks and benefits for proof. In both their professional and personal lives, perks have increased in popularity with employees, according to our 2017 Medical Sales Salary report. Topping the charts is health benefits with 87 percent of employees saying they’re an important perk. Close behind is a 401k with matching (80 percent) and an expense account (74 percent). The majority of reps are satisfied in their roles but there’s still work to do. 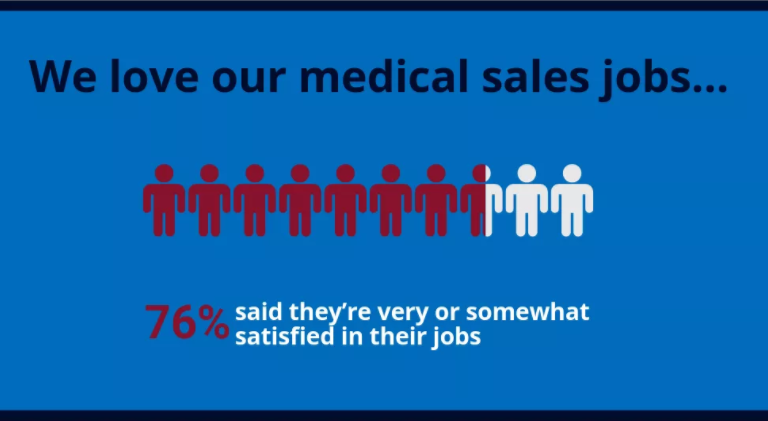 Underlying issues shine through in our Medical Sales Salary report. Minorities still lack representation and equal pay in medical sales. The majority of total respondents in the Medical Sales Salary report identified as White/Caucasian (87 percent). Hispanic and African American professionals made up just 4.4 percent and 3.9 percent of respondents, respectively. This astoundingly low diversity isn’t just hurting company morale, it’s affecting how well reps connect with customers. Increased diversity makes room for customers from different races, ethnicities, and backgrounds to build deeper, more meaningful relationships. Women aren’t only outnumbered — only 30 percent of respondents identified as women — they also earn significantly less than men. 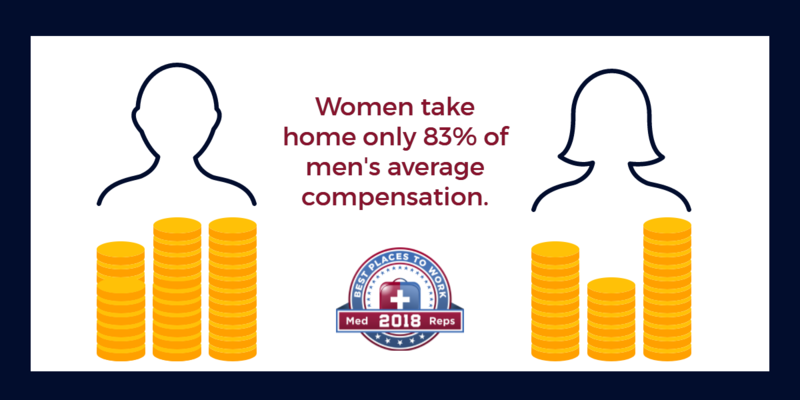 They make just 83 percent of men’s average total compensation. There’s no room for a pay gap anymore. Companies are losing quality candidates and employees to unequal base pay and commission. Some women are satisfied in their roles, but the looming issue of pay causes them to leave for a position where they feel valued and equal to their peers. The impact of a high salary on medical sales reps can’t be argued. In fact, 81 percent of respondents feel competitive compensation is the reason they have high job satisfaction. Our report found, on average, reps earn $147,424, with an average base of $95,791, and an average bonus of $53,405. After breaking it down by category, we found it isn’t just about how talented a rep is, but also the product they’re selling. Reps selling health IT/software are the top earners, making an average of $176,012 in total compensation. And those selling biotechnology and medical or surgical devices are a close second and third, earning an average of $162,544 and $159,130, respectively, in total compensation. These six-digit salaries clearly correlated with the highest number of respondents who are satisfied due to competitive compensation. But satisfaction tied to compensation can only go so far. Most medical sales companies understand the importance of impressive salaries and commission packages, so the competition in this area is high. Companies focusing solely on compensation as the only factor motivating employees to come on board and stay with their companies will lose out. It’s those that can develop strong ties to employees’ passions and add value to their work and home life that find and keep top quality reps.
With job satisfaction at a high and the number of medical sales reps looking for new jobs dropping, now is the time to ramp up your recruiting efforts. Having a team of established reps who are happy in their careers creates a positive company culture and opens up a world of opportunity for new, impressionable reps.
Click here to view the full Best Places to Work 2018 Infographic.